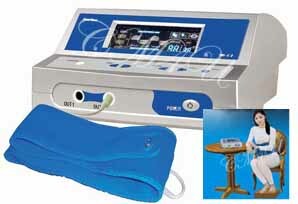 Therapeutic medical-device for holistic healing. Natural health and wellness therapy in the comfort of your home. Superior quality products, built to last, safe and effective, for all ages 4-100yrs. Reflexology - return feeling to legs. Heating Pad - Back Support Belt. Grande SOQI Bed Sauna Spa. head office in Los Angeles, USA. Fast Delivery within 7-10 business days. All sales are calculated in US$. 14 day Free Trial from day of delivery. Instructions for repair in Toronto. What do other Canadians think. The foundation of health, the power of Chi. Increased circulation, increased oxygen, temporary muscle pain relief, stimulation of the autonomic nervous system, promotion of digestion and metabolic waste elimination, mental focus, sounder sleep, relaxation and more. The Original as seen on The Doctors - a daily medical TV show produced by Dr. Phil. FREE Footrest Cover with every Chi Machine - value US$3.00 - machine washable, thick and stretchy, grey polyester and cotton blend. Good idea if you intend to travel. One speed only as designed by Dr. Inoue. The Chi Machine is a perfect solution for days you can't go out, for those with limited mobility, limited time, or for anyone that simply hates exercise. The 'Sweatless Sauna', no need to undress, created to be close to the body for maximum Far Infrared heat therapy benefits. x2 Armrests, FREE E.Books, Video. Increased circulation, serious toxin elimination and relief from pain, swelling and inflammation, accelerated healing, promotes improved breathing, tissue regeneration, relaxation and much more. Extra information: one size fits most body sizes - for all the family, including pets under supervision. Self Timer: 15 minute increments. Life cannot thrive or survive without it. Also known as the ERE. Powerful reflexology massage and stimulation of the feet and legs - may also be used for hands and arms - for pain relief from aches, soreness and fatigue, circulation, rejuvenation and improvement. 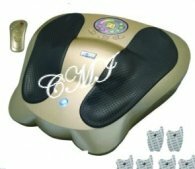 The machine supports re-connection and communication of the body circuitry - adjust remote control accordingly, to level of comfort and sensation of feeling. 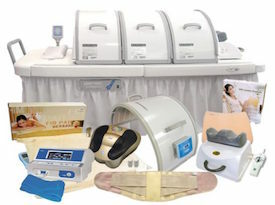 The ERE machine includes six electro pads that act like TENS units to target and relieve tension, pain and stiffness. Everything in creation is electro-magnetic energy. Electrotherapy primarily communicates and re-connects the electrical circuitry of the body, thus promoting healing. The E-Power machine recharges the entire body via the healing modality of electrotherapy. Benefits include activation of ATP enzyme which generates hours of energy, boosts negative ions promoting improved emotional state, promotes pH balance, anti-aging properties, relieves pain. Electro-medicine supports re-connection and communication of the body circuitry. Recharge your body, and your skin. head office, Los Angeles, CA. 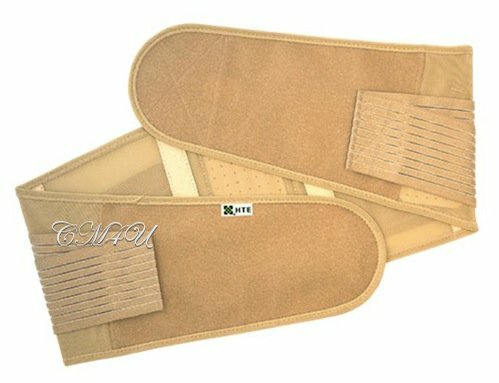 FIR Heating Pad: US$40.00 regular. FIR Heating Pad: US$60.00 grande. Shipping Set Price: British Columbia, Alberta, Saskatchewan, Manitoba, Ontario, and Quebec. All other provinces will be based on weight - please request quote. Available S-M-L-XL (sizes run on small side). Far Infrared belt providing support for the back and healthy posture. Many customers also use this as a fashionable waist cincher to control eating and weight gain around the stomach. Fully adjustable velcro closure. Far Infrared heating pad with storage carry bag - soft, flexible and washable outer cover. Relieves pain and general aches, pain, stiffness and soreness in the body. Can be used with Far Infrared Dome or the Chi Machine. NOT to be used as heating blanket in bed. The perfect gift for yourself or someone you love. Pets may also use under supervision. Not just another green drink. Perfect for winter health challenges. SO - Solar and QI - Life Force Energy. Natural Healing As Nature Intended. Far Infrared heat, sweatless sauna, and aerobic massager. x1 Chi Machine combined with x3 Far Infrared Domes. Thousands of people are looking for alternative healing treatments as opposed to addictive toxic medications and invasive surgical procedures. HTE's Japanese scientists created a revolutionary, full body healing therapy known as the SOQI Total Health Spa - a portable, modern sauna therapy based on over sixty years of Far Infrared Asian technology. 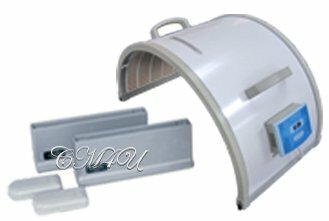 Consider integrating this unique Far Infrared healing therapy into your current business, or design your own personal home setup. By using one to three Far Infrared Domes, create a channel of soothing Far Infrared thermal energy from head to toes. 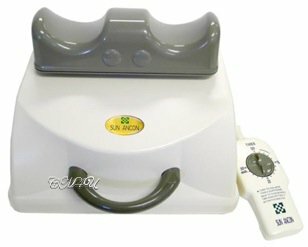 Combine the Far Infrared Dome with the Original Sun Ancon Chi Machine for temporary increased oxygen, promotion of waste and toxin elimination, healthy back support (lying down), improved circulation, relief of pain, swelling and inflammation, accelerated healing, sounder sleep, rejuvenation and relaxation. Everything in creation is energy. Music, colors, food, water, your body, your home. or for professional use in 2019 and beyond. The Ultimate Far Infrared Sauna. Unavailable for shipping to Canada. Take alternative healing to another level. The future of natural health care has arrived. A closer look at the SOQI Bed, for home or business. Shipped from Los Angeles, CA, USA. New opportunity to have your own luxury sauna spa in x6 easy payments - No Interest. Are you interested in selling HTE machines to earn income as you help people? a) There are absolutely no monthly sales or volume requirements. b) All credit cards are processed by head office in Los Angeles. c) No stock is required - all products are shipped directly to client from head office. All you pay is US$30.00 in order to join and receive your distributor number, which then enables you to sell the Sun Ancon Chi Machine, Far Infrared Dome, the Electro Reflex Energizer, E-Power Machine, SOQI Bed and other HTE products. All business transactions and shipments are done by head office in Los Angeles, CA. A business and health manual may be downloaded from the internet. Canadian distributors should call New York head office directly - (1) 631 454 1600 - to request commission check, which will be sent out via regular post around the 16th of each month, paid in US$. Your bank will convert into CA$. Becoming an HTE distributor in Canada is a great opportunity for health care professionals, both conventional and alternative. This is an opportunity to make a difference and to create the natural healing business you've dreamed about. Many distributors set up a home business healing spa for the local community. The demand for alternative natural health and wellness products is growing and expanding everyday. According to statistics, 70% of Canadians use natural healing products. Regardless of the economy, health care is ALWAYS needed. Create an income to help yourself as well as to help others. 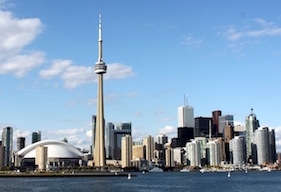 Canadian sales continue to be strong. Requests for HTE machines is consistently in demand. What do other Canadians think? A Canadian on a passionate mission. with special sections on Feng Shui, and Cancer. This website is for informational and educational purposes and is not intended to provide individual medical advice which may be obtained from your chosen health practitioner. Chi Machine International does not claim that any HTE product presented herein will diagnose, treat, cure, mitigate or prevent any disease. Always ask questions and research everything. International Independent Distributor for HTE.